How often do you change your wedges, I’m often asked? I have to admit that I’ve not updated or even re-grooved my wedges in six years – I’ve not even had them re-gripped. 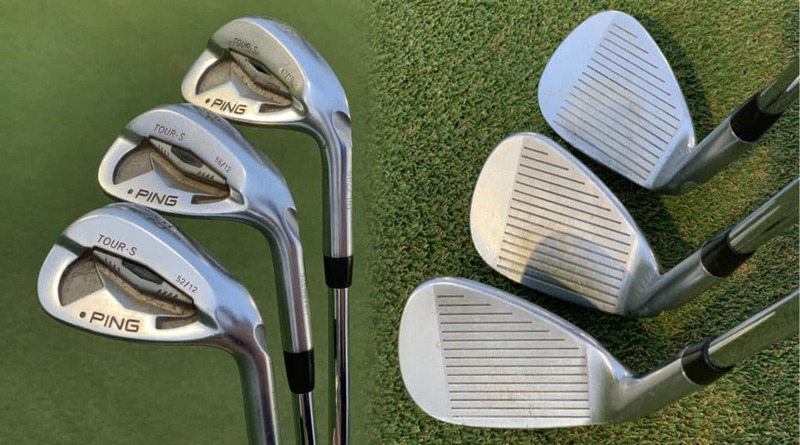 I know that most tour pros changes their wedges every six to eight weeks depending on wear but these are tour pros and not a weekend warrior like myself. I travelled to the Titleist national fitting centre in St. Ives, Cambridgeshire, to find out if changing wedges was really beneficial to my game or just a sneaky marketing ploy to lighten my wallet. I’ve always been confident hitting to 95 and 125 yards but struggled with anything closer, especially around the green. My miss on full shots was right off target but, at least, I could get the ball to stop. So I felt spin wasn’t an issue. This is why I believe my trusty wedges are still playable. PING 47°, 52° and 56°. Shafts S300 Dynamic Gold. Fitted with shiney – to the point of embarrassment – Golf Pride half cord grips. Titleist put me in the safe hands of Will Harding who fits the Titleist European Tour players, so I needed to make sure I didn’t fat the first couple of shots! Warming up with a few easy nine irons was the first stage before I could impress him with my very worn seven year-old PING wedges. Results: When asked to hit full shots outside my 95 and 125 yards comfort zone my gapping was sometimes as much as 15 yards out. So, trying to hit a 130-yard wedge would sometimes finish the other side of 145 yards. The 70-yard pitch was awkward, as I decelerated and just couldn’t apply any pressure to spin the ball. I was either fatting it 15 yards short or catching it too clean and firing it 10 yards past. The spin rates on the Vokey SM7 were sometimes close to 2,000rpm up compared to Jordan’s worn PINGs! Spin effect: We were hitting into an open practice range and not to real greens, so visually I couldn’t see the effect of the increase in spin. I could only go off the TrackMan readings and my worn PINGs were sometimes more than 2,500 rpm lower than the fresh-cut Vokey wedges. You could feel the clubface grip the ball more effectively, so there was definitely more bite. Around the greens: This is where fresh grooves really made a huge difference. Normally, I hate this shot. You know the one when your approach shot runs off the back of the green and you have a short chip back with little room to work with. Quite often, with my 56° wedge I would land it just on the fringe and hope it didn’t release too much. I hit five chips on the practice green with my PING and only one just managed to hold on. One was a bit of a chunk but the others I couldn’t have hit any better. Switching to the 58° Vokey I saw the spin effect instantly, as I could get the ball to land further down the green and it would check and roll out no more than eight feet. Out of the five chips with the Vokey, four failed to reach the hole they gripped so much. That was a shot I thought only the pros could play! We started with the 9-iron and measured the distance you hit that and came up with 160, so we then needed to look for something that would fly 10 yards shorter, and that came out as a 46° with 10° bounce. 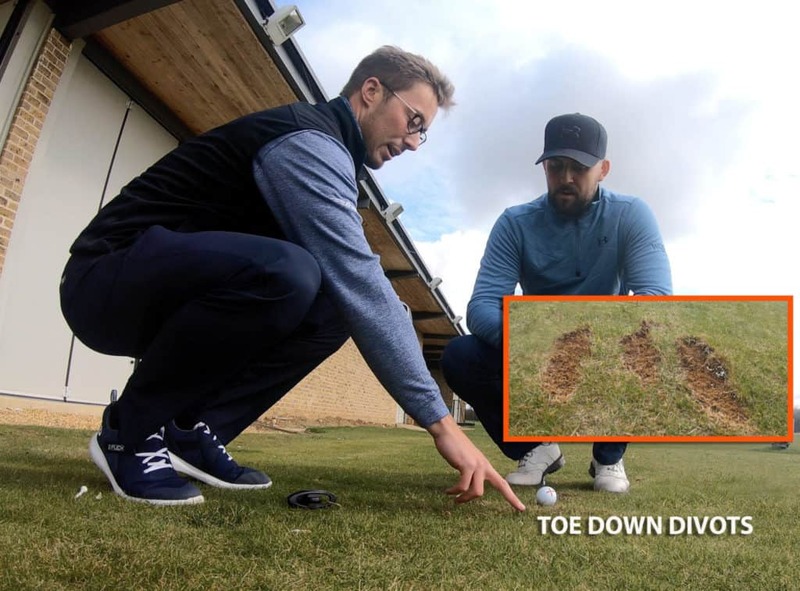 We adjusted that 2° upright to help with your ball flight because we noticed the divots were a little bit ‘toe down’, so by making it more upright will make your divot a lot more neutral. Looking for that 10 yard gap again we found that the 50° with an 8° bounce was the answer. We tried both a 12° and an 8° bounce with this one and found that you were hitting the ball lower on the face with the 12° so that was producing a lower ball flight. Whereas with the 8° the ball was coming more off the centre of the face and you were hitting better shots. Then we went down to the 54° and this club needs to be a bit more versatile so we offer thee different options with it. We tried all three and the higher bounce options performed similarly to the 50° wedge as it came out a bit low and a bit too ‘spinny’. 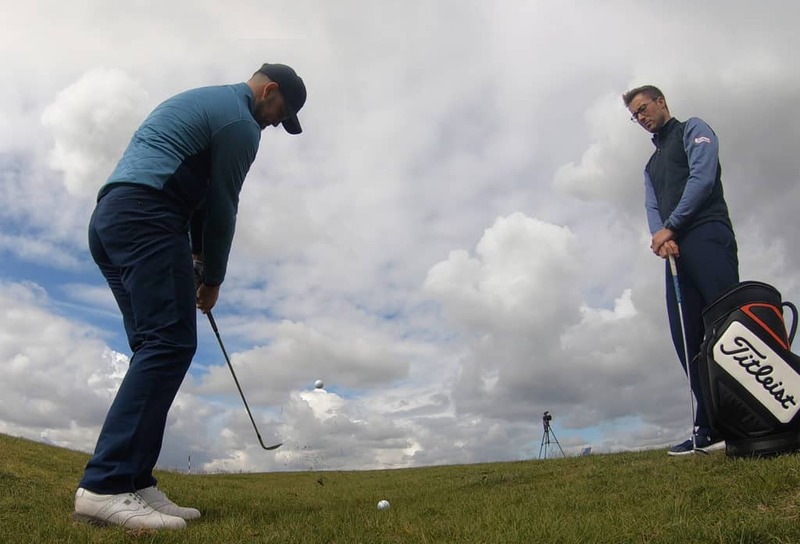 We went down to an 8° bounce and with this you could hit the lower shots, higher shots and full shots – this club was gave us the best results of all the clubs tested. 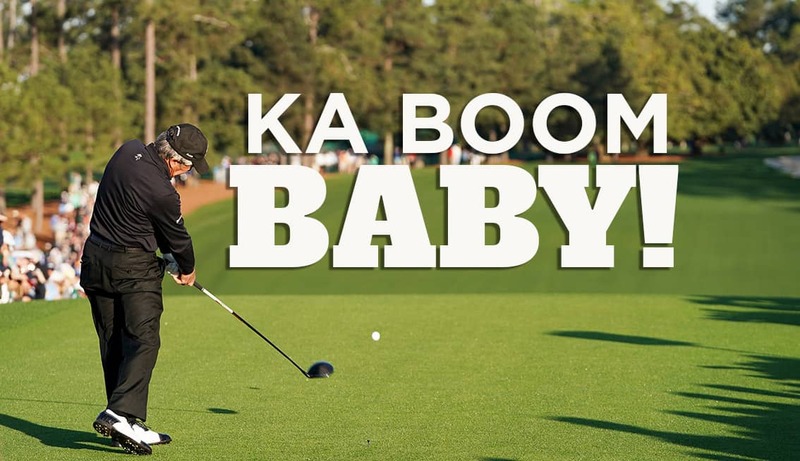 The 58° has to do everything from within 50-yards of the green because you said you use this one a lot around the green – hitting bunker shots with it and high flop shots – so it has to be really versatile. With the 58° and 60° wedges we offer six different options and we tried a few options out and again the lower bounce options worked best for you. The 58° with 4° bounce and a crescent grind, which means you can sit it in the heel and open the face up, was the best that you tried. For a player with good hands such as yourself, you’ll be able to hit a lot of good shots with this club. The bounce throughout your wedges is relatively consistent. The 10° bounce on the 46° wedge will match very closely with your irons, so that will have a similar feel to iron shots. In the 50° wedge there’s an 8° bounce which will give a little bit of flexibility with how you hit your shots. 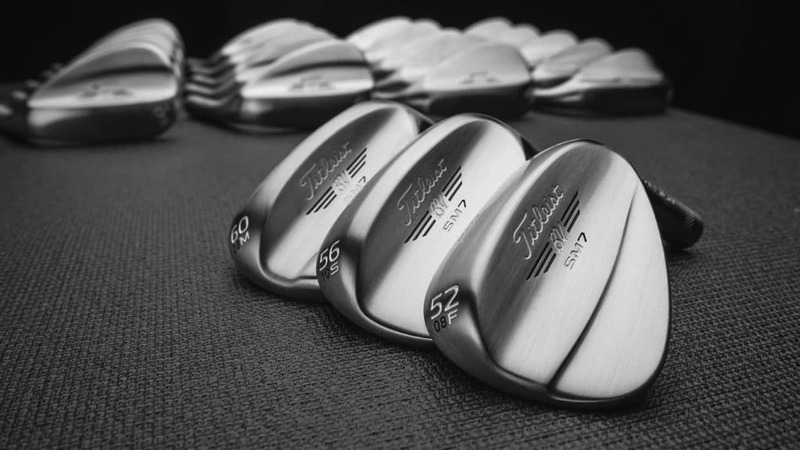 The 54° wedge is also 8° bounce but has a slightly different grind and the 4° bounce on the 58° wedge will help the leading edge sit a little bit closer to the ground so, that’s going to help on those tight lies. 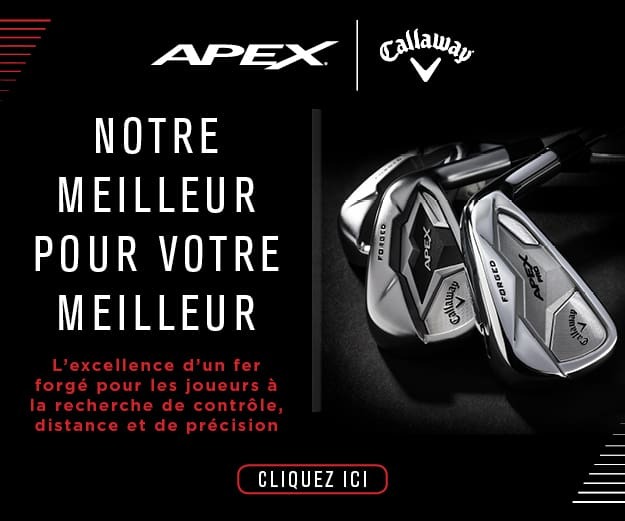 Like any clubs, you would benefit from a professional fitting. I came away knowing that my push was down to my clubs being too flat and the reason I failed to hold the greens, especially close, was lack of spin. The problem is that groove wear is a gradual decline, so you don’t notice the effect instantly. Titleist have a guide of changing your wedges every 125 rounds, but it’s more like 700 shots. So, if you frequently practice with your wedges, have this number in mind. For me, the amber light would come on when those short chips fail to check and the ball starts to release more than usual. WOULD I SWITCH MY PINGS FOR VOKEYS? Knowing what my specs are, I would certainly try other brands but I did order that 58° Vokey. I’ve never been able to get check that close to a green and it gave me so much confidence being able to stop the ball quickly inside 70 yards. 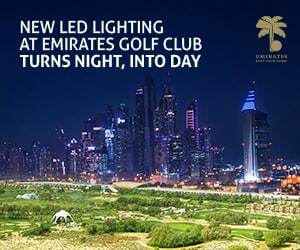 At 695AED they aren’t the cheapest but to become more consistent around the greens I will need to buy at least two 58° wedges a year. Odysessy Stroke Lab Putters – A stroke of genius?